See Golden Style is the blog of the carefree and fabulous Cory, who created See Golden style to, in her own words, “ provide a daily dose of inspiration.” She’s got a fresh take on fashion, eschewing trends and commitment to one broad category in favor of a spontaneous choice of clothing and accessories that reflects her personality and her mood that day. Corey recently posted in her blog admitting that she didn’t know all too much about anti-aging skincare products, but she definitely wants to preserve her youthful glow. 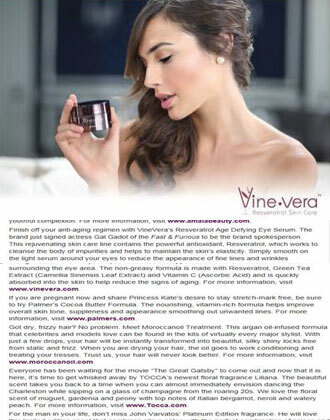 As such, she’s giving Vine Vera cosmetics a try. 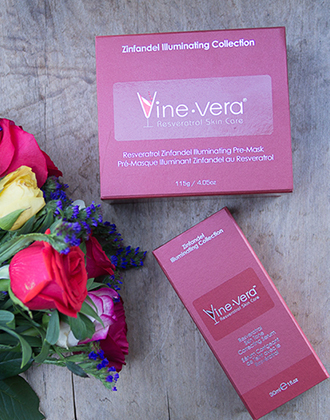 Because Corey is particularly concerned about maintaining an even skin tone, she’s giving the Vine Vera Resveratrol Zinfandel Collection a try. 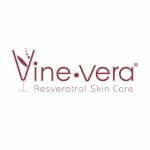 This particular collection includes ingredients like resveratrol, vitamin C, and other skin-loving compounds, and consists of the Resveratrol Zinfandel Illuminating Pre-Mask, Resveratrol Zinfandel Radiance Cream, Resveratrol Skin Tone Correcting Serum, and the Zinfandel Illuminating Petal Peel System. 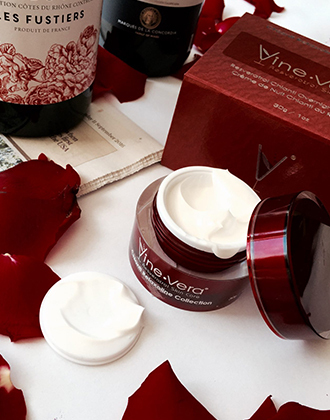 Corey loves the whole collection and says that, in her words, “my complexion has never looked better.” Her favorites are the Vine Vera Resveratrol Zinfandel Skin Tone Correcting Serum and the Vine Vera Resveratrol Zinfandel Radiance Cream SPF 30. 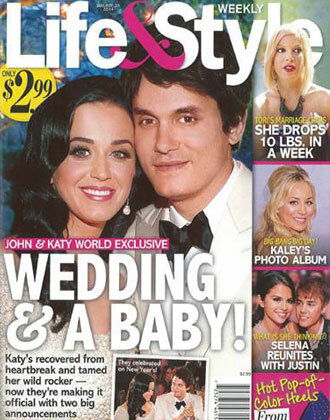 She particularly adores the ease of shielding her face from sun damage by using a moisturizer with SPF built in. All in all, the Zinfandel collection gets Corey’s seal of approval.